Hardwood remains the most effective and cosmopolitan flooring material for most homes. Hardwood floors often give and produce a classic and stylish finish. Wood floorings material has been used for flooring and is very reminiscent of Europe’s castles and Ancient American homes. In modern times, hardwood floors has been used for the same purpose in many homesteads across the globe. Often when we move to new homes, we often have to do a renewal process for our newly acquired home. You may find an old hardwood flooring that is full of scratches thus seems so dull. In such a circumstance, worry not since one can enhance several techniques to smoothen the flooring by refinishing it. Despite its beauty and magnificent outlook, hardwood floors wears off over time of use. Hardwood floors may last for a long time, but due to the overuse the polished finish may become dull and lose its attraction. The wear off mainly occurs on the area’s that have high traffic. It becomes a priority for preservation of the beauty and luster of the wood floorings on a periodic refinishing basis. Dilapidated floorings often give an unwelcome and unpleasant sight to the eye and also makes it hard for thorough cleaning. Dust and dirt leave behind scratches that dull the floor surface. It is imperative to perceive that not all wood floorings refinishing requires a total refinishing task. One can easily use a piece of cloth and clean water to bring forth beauty. A meticulous, in-depth cleaning process can restore the luster. For this process make use of a soft cloth or brush to avoid scratching the surface of the wood. To remove hard to reach dirt make use of a vacuum cleaner. To determine the areas that need refinishing you have to implement easy to do individual tests. The first thing to implement is to identify the most used wood floorings. Identifying these parts will only take you a few minutes. Make sure to drench a part of the flooring with water preferably a small amount. Observe the outcomes. If you notice the water forming small beads, then the protective polish is still intact. Thus your wood floorings need not a full scale refinishing. In the case of the poured water percolating into the floor making black stains, one needs to consider wood floor refinishing. Conducting the refinishing process requires meticulous care. The task is always lengthy and labor intensive. It is profoundly advised that one should seek the services of a professional. The refreshing process requires you to find a person with adequate knowledge, experience, and power tools to achieve maximum results. However, there are simple hacks one can use. The very first measure to take into consideration is the area that needs refinishing. The standard measurement that can be sanded manually is of up to 50sqft. For a small area refinishing you will need to equip yourself with a sanding paper and an in order pair of kneepads. To cover, large flooring square feet, a power sander is the best option. The second thing will be to take the furniture and fixtures obstructing the refinishing work area. After you clear, the items of furniture strike the old coating on the floor. To get rid of wax use a wax stripper. If the flooring is of varnish make sure you use acetone or lacquer thinner. In so doing, you prepare the wood floorings for sanding. The third thing to consider is to get rid of the nails and carpet tacks on the floor surface. To avoid hurting your hands when performing the sanding process, carefully check for the nails on the surface and carefully pluck them off. Getting rid of the nails not only protects your hands but also prevents the pins from ruining the sandpaper or the power sander. Imperfectly dislodged nails and tacks can damage the wood floorings refinishing designs. Make sure you fill the left holes with commercial wood filler with matching colors to the floor. When you get the whole identified area sanded, proceed to wipe the area with a damp mop. If you use a cloth make sure you use a resin-coated fabric. Resin-coated cloths can be purchased in your nearest hardware outlet. Be keen on any dust particles on the surface. This cloth can take out dust pieces better than vacuum cleaners. The refinishing task will work effectively on dust free, smooth floor. Lastly, let the floor to dry. You will apply a fresh wax coating, varnish or paint depending on your preference after the floor is free of moisture. If you decide to use varnish, make sure to apply three coats. For an effective varnish painting, allow the coating to dry. Enhance the varnish painting by carefully sanding lightly on each of the three applications. Make sure to wipe the freshly refinished wood floorings with a resin coated cloth to give it a shining effect. 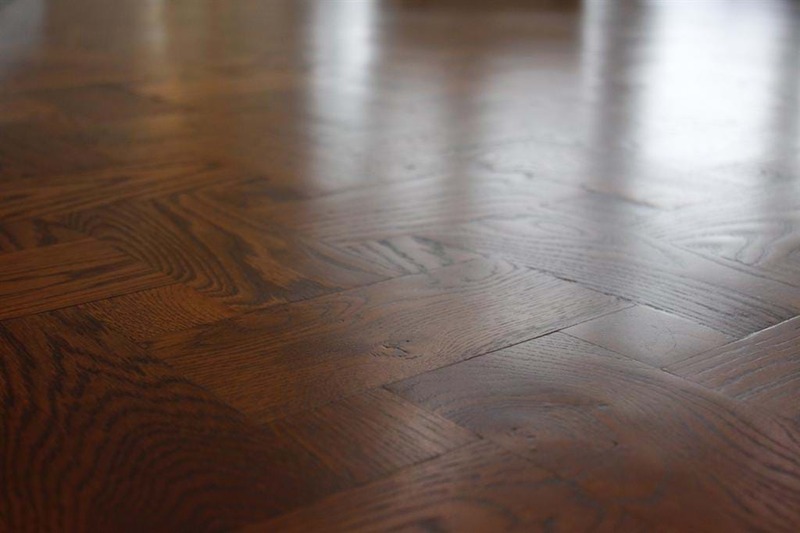 To avoid extensive damages on the wood floorings, one should maintain a tip-top shape plan. Be careful to keep a normal surface clean of woods floorings in high traffic areas. It will save your time and the value of your hardwood floors to have a deep clean once every month by using concentrated wood floor cleaner. On the latter, one should seek the services of a professional refinishing services every year if possible. A great professional refinishing service provider should meet all the standards, and one should check before hiring the services. Contact Brucke Wood Flooring in Tulsa, Oklahoma today and let our capable and knowledgeable wood flooring staff assist you. Brucke Flooring prioritizes the highest quality hardwood flooring and we specialize in refinishing, restoring and installing wood floors in Tulsa. If your home is in need of professional hardwood floor refinishing services, contact the Tulsa floor refinishing experts today! Brucke Flooring is BBB accredited since 2009!